Sweet Itch is the layman's term for a hypersensitivity or allergic reaction to the saliva of biting insects. Their bites can spell real trouble for your horse. The intense itchiness can cause self inflicted harm as your horse rubs away patches of hair, leaving the skin underneath raw and weeping. The allergy is most specific to the Culicoides fly, often called midge, sand gnat, or no see-um but black flies, deer flies and mosquitoes can contribute to the cause as well. In severe cases, your horse may become stressed, restless and thin, spending more time scratching than eating. 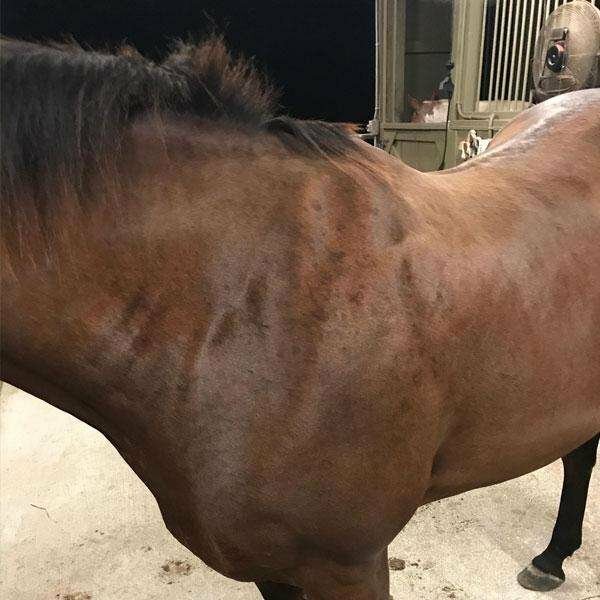 Sweet itch reactions occur anywhere on your horse’s body but are most often seen on the underside of the belly, under the mane or the dock of the tail. HOW IS SWEET ITCH TREATED? 1. 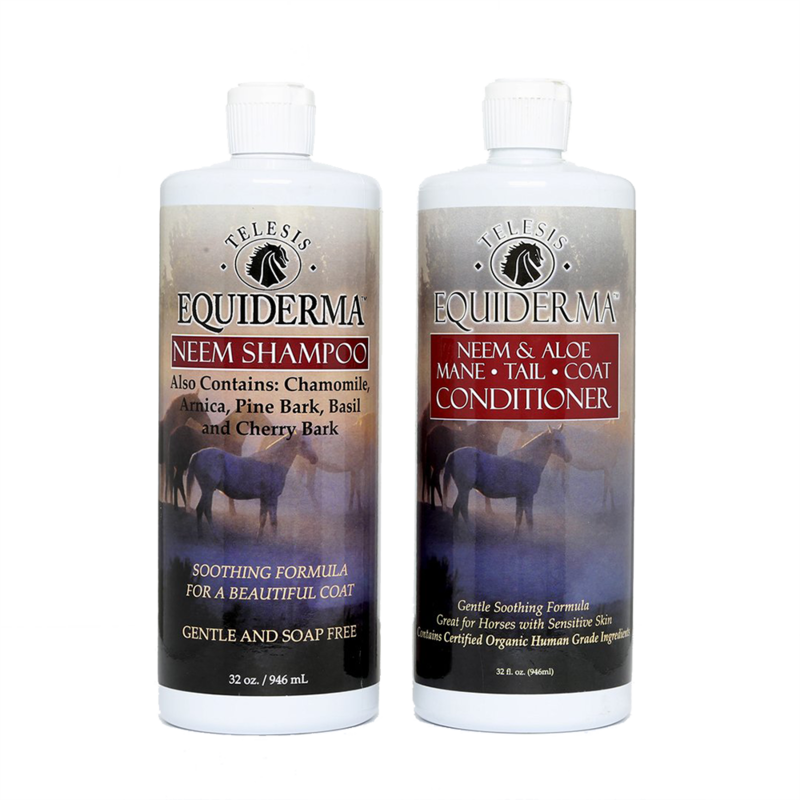 Bathe your horse with sulfate free Equiderma Neem Shampoo paying special attention to the crest of the mane, dock of the tail, ventral midline or any other affected areas. Our anti-inflammatory and antioxidant-rich shampoo helps soothe the skin and cals the itch while amplifying healing of the skin. It's the perfect shampoo for regular bathing too because it helps maintain a healthy skin and coat without harsh chemicals. 2. Follow up with Equiderma Neem Conditioner this adds an extra layer of goodness as the Neem, Castor Oil, Jojoba Oil and Vitamin E further amplifies healing and calming of inflamed skin. 3. Treat: To stop the insects from coming back to feed, relieve itching and heal the secondary bacterial infection, apply Equiderma Skin Lotion daily until the the skin is healed. Your horse will immediately gain relief but most importantly the cycle of feeding will be stopped. Insects will not go near the area when Equiderma Skin Lotion is present. If your horse is prone to this condition keeping a good covering of skin lotion over the area will prevent it from starting or continuing. 4. Protect: Use Equiderma Neem & Aloe Herbal Horse Spray. With Neem, Aloe, Lemongrass, Citronella, Tea Tree, Lemon Peel, Eucalyptus, Lavender essential oils, this spray repels the Culicoides, flies and mosquitoes. *** Regular use in and around your barn will over time the population of biting insect will decrease. Any insect that meet with even a micro droplet of no longer be able to feed, breed or mature. 1. What age does Sweet Itch start? Horses can develop Sweet Itch at any age when exposed to the saliva of Culicoides. 2. Does Sweet Itch get worse? Yes. Midge bite allergies can get bad when left untreated. 3. Can Sweet Itch be cured? Unfortunately no, not yet. There is immunotherapy available for midge bite allergies that has been shown to cause a 50% improvement in 70% of horses with Sweet Itch. Discuss this option with your vet. 4. When does sweet itch season end? With the temperatures tending to drop in October, generally, we see the mass reduction of midges which means that horses that suffer from Sweet Itch begin to show signs of improvement during this time. 5. Is Sweet Itch hereditary? 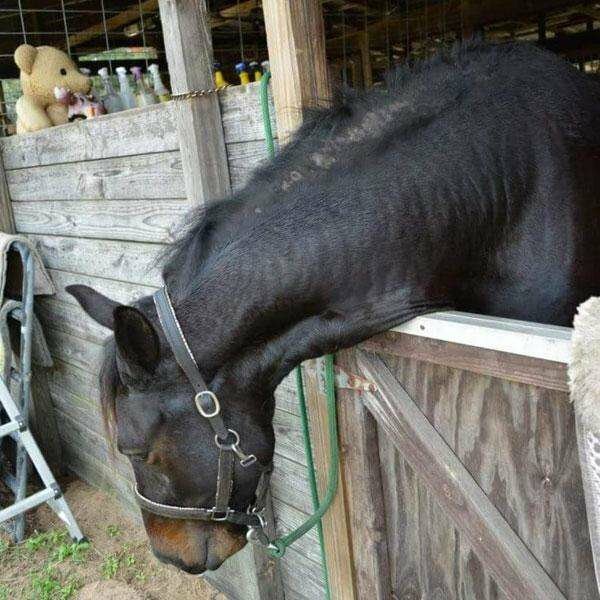 It is thought that sweet itch is hereditary and stress (for example moving a horse to a new home), sickness or severe injury can increase the risk of more mature horses developing the condition. Certain breeds like Welsh ponies, Icelandic horses, and Shires are predisposed to the condition meaning it is likely inherited. "FINALLY! Sweet Itch GONE! 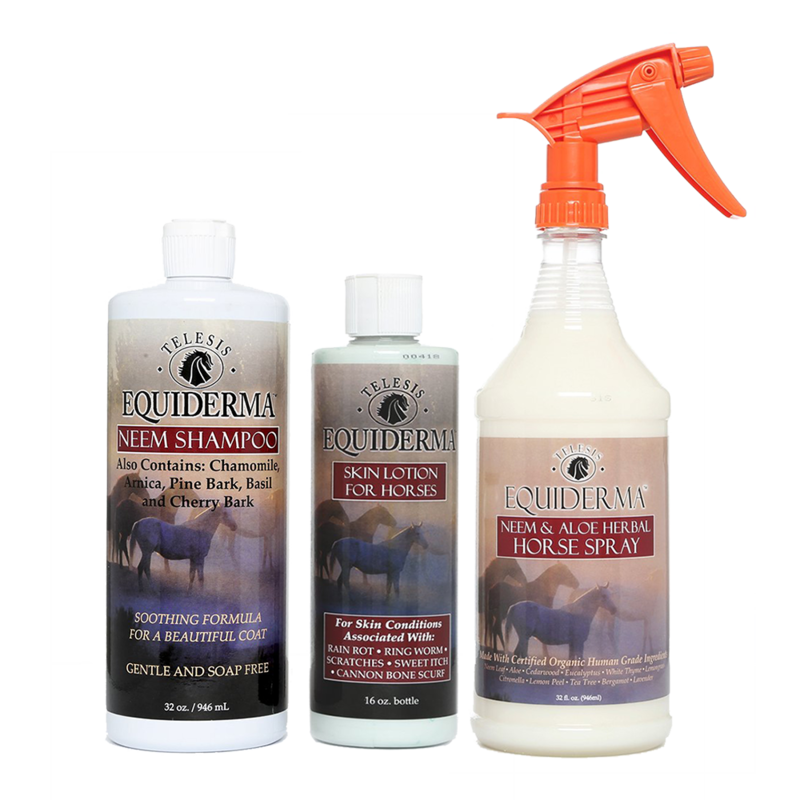 - I have 7 horses who are now much more comfortable since using Equiderma Fly Spray as well as all their products. Destiny was a wild horse rescued from Colorado, and since she's been on the East Coast, she has had terrible sweet itch every year. Her tail is rubbed off to the skin, bleeding and miserable. She's had 5 vets look at her, every type of lotion, medications, anti-itch, etc. and nothing works. Now that I am using Equiderma, she has comfort, no more rubbing off her tail, and a much happier horse and owner! I have been recommending these products to ALL of my horse friends. No more welts on the horses from flies and we are experiencing less tick invasion as well." "Rosie's Peace Restored! - My NV mustang, Desert Rose aka Rosie tends to get 'sweet itch' when bitten by certain flies, and we experience agonizing itching- hers physically and mine in empathy! Since we started using the Equiderma spray, she is being bothered much less by those annoying flies, and our time together is spent doing happier and more pleasant things!" "Love your products! - Brandy has been plaqued by skin problems her whole life: sweet itch, insect allergies, scratches, possibly threadworm. Every summer she itches and scratches, rubbing on anything she can find. I have tried several different treatments, all with little to moderate success until Equiderma. One shampoo cleared up 90% of her skin lesions! Then using the lotion, zinc and the fly spray daily or even every other day kept her the most comfortable I have ever seen her in the summer with the bonus of a lovely glimmering coat!" "Worth every penny! - I tried the product on my sweet 19 yo mare who really suffers from the noseeums. She gets terrible inflammation and sores from them, and last summer was on Dex for months, and in a fly sheet, and slathered with tons of different pastes, antibacterial ointment, hydro-cortisone spray, etc. I've had the fly spray and the skin lotion for about a week. 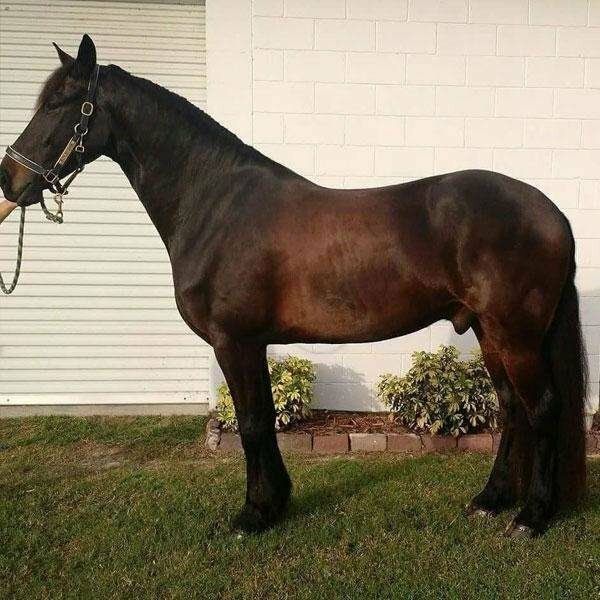 Using the spray each day and the lotion about three times has made an amazing difference for this mare. Her crusty belly is almost completely healed and inflammation is gone. I no longer see her rollling and laying down to itch her belly and constantly stomping, tail switching and shaking her head. I bought this stuff only for her, but pretty sure I'm gonna get the fly spray for my other two. I also like that I can put it on myself too!! Really great stuff and worth every penny." "Storm loves Equiderma Products! 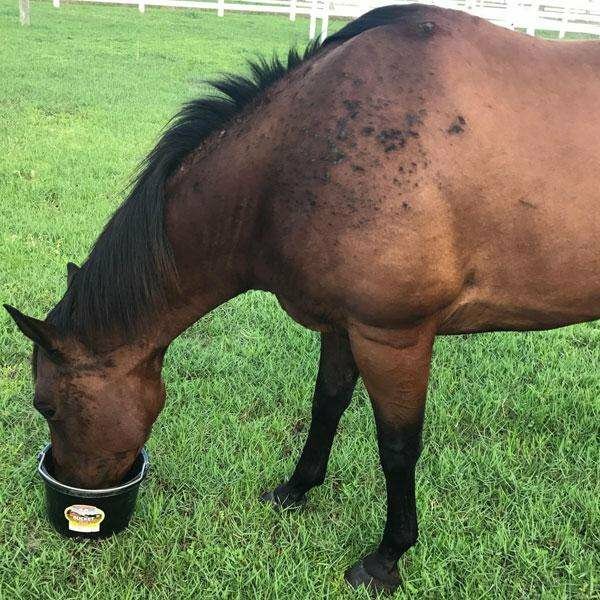 - Storm suffers from Sweet Itch for years and I have tried everything and nothing worked.. .the best relief he has gotten has been from me starting to use the Equiderma products!" "Miracle product for horses! - It's not often I find a product that's so awesome that I feel the need to share my experience, but I have found a miracle product for horses! This year, for some reason (it wasn't a problem last summer) 2 of the horses on my farm are getting eaten alive by gnats. Obviously they have a serious allergy to the little monsters. It's so bad that they had sores on their belly, chest and had rubbed their tails completely off at the top. They scratch on the fence constantly. I had the vet look at them who laughed and said "good luck with that, they'll destroy your fence". He said other than fly spray and Swat there really wasn't anything else to do but pray for fall to get here. It's too hot for fly sheets, they'll die of a heat stroke, so that's not an option. I have used gobs of fly spray, Swat, supplements containing garlic and brewers yeast, antihistamines, MTG, Desitin, YOU NAME IT....and nothing was fixing it. It might relieve the itch for a bit, but it wasn't healing the sores. I finally tried the Equiderma Skin Lotion. I honestly figured it was yet another "snake oil in a bottle". I wish I had taken before photos, but just 3 days ago I began putting this lotion on his chest, under his belly and on the top of his tail and I swear to you as of this morning he is completely healed! The sores are gone 100%! He just needs to grow the hair back, but I haven't seen him scratch on the fence since applying the lotion 3 days ago. The other horse, Daisy, has a bottle on the way so I know her misery is about to come to an end as well. I just ramble about this because if any of you are having the same problem, go buy a bottle of Equiderma Skin Lotion. I'm going to try it on my dog that seems to have a grass allergy and has a raw belly." "No other product comes close - Healed my pony's raw sweet itch skin in a week. One bath with the shampoo, daily skin lotion and she's almost completely healed. No other product has even come close." "Rubs until she's bloody - I have a pony that always gets itchy from bugs and rubs her hair off every year. This is the first year I have tried Equiderma products. I love them. Cookie looks great. She usually rubs until she is bloody. None of that this season. Highly recommend Equiderma."